In my last post of 2010, I had mentioned some of my goals and wish-list as a blogger for 2011, out of which one was to make Technolism a CommentLuv enabled blog. To encourage more comments from our readers and to increase the interaction with other bloggers around the internet, Technolism is now CommentLuv enabled. If you are not known to what CommentLuv is, with the help of this plugin, whenever you comment on Technolism, CommentLuv will grab your blog’s latest article and link to it; something like in the below image. Technolism is a place where we write about the latest trends in Web 2.0. This includes WordPress Tutorials, Social media updates, Blogging, softwares, Internet Tips and tricks, iPhone tips and so on. We value our visitors’ comments and feedbacks as they mean a lot to us. By enabling CommentLuv on Technolism, we are giving the fellow bloggers more exposure as they can show off their latest blog post in comments section by commenting on this blog. Also, this will help in encouraging more comments on Technolism and help us build a community of readers around this blog, which is the sole reason behind the inception of Technolism. So, this is a win-win situation for both Technolism and YOU, as a blogger as this will help you in getting more and more referral traffic from Technolism. This is simple. Just start commenting and CommentLuv plugin will do the rest by fetching the last post from your blog providing you and your blog more exposure by giving you a backlink to the homepage of your blog and an additional link to one of your latest posts. As a webmaster or blog owner, to make the most out of CommentLuv enabled for commentators, you should first register your blog at ComLuv. The reason is, unregistered blogs are usually allowed to leave behind their latest post on a CommentLuv enabled blog, but as a registered user on ComLuv, you can select any post from latest posts on your blog. Commentluv is great, I have it on several of my sites, but you also need to ensure that you have good anti-spam plugins. I use Askimet and also a captcha, but I still have to moderate the comments and get rid of all the worthless spam rubbish. I feel this is a great concept of sharing “love”.. Best of luck! And lets keep spreading the “love”! Great work dear. I will recommend your website to my friends. “Lov Comment” is a nice invention. But I didnt use it in my site because mine is a new site and i’m afried the traffic juice may flow to some one else’s site. I love the whole idea about Commentluv and especially IntenseDebate as I’ v been blogging on blogger. But, I was not able to update it trough template as it could not be parsed. Therefore I installed a widget which works fine, but has limitation. Still I want to have a template. Anyone can help? 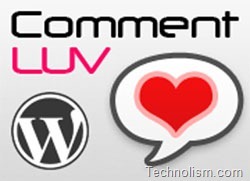 I am thinking to use commentluv plug in for my blog, but want to know more about its reviews. Thanks for sharing your experience. So has it helped generate more traffic by installing the plugin? I believe that. I have a tax post on the first time home buyer tax credit that has an insane amount of comments. At first I thought it was because of my promoting it but it just turned viral. Can’t say whether it helped the site or not. I’m loving commentluv. Clever idea. I like the IDEA of using CommentLuv- because as you’re showing here, you’ll obviously get more comments on your blog, but like Navin (above), I’m concerned about passing the link benefit right back out of my site to another blog. But then, I’m pretty much a newbie- maybe that’s really more of a myth? Either way, I enjoyed your post. thanks! I understand your point here… But, what I believe is Online presence and traffic, is a matter of give and take 🙂 When you use CommentLuv, a user that leaves a comment is doing that in the expectation that he will get traffic and exposure to his blog and one recent post. Its like giving and taking traffic. Thats all. CommentLuv is great. really like the idea, but the blogger has to moderate the site. Otherwise spammers go crazy and ruin it. Comment Luv really is a GREAT feature ! I enabled it on all my wordpress websites. Really rocks thanks for sharing ! we liked the blog, , that was a really well written article. Hi Amandeep, I think commentluv is a brilliant idea, and have just installed it on my blog. Technolism is somewhat a new to my vocabulary. Such a great idea ha… Anyway, I appreciate your post today. Commentluv is a great way to share the link luv among the fellow commentators. I have even come across with one such movement which was known as I comment u follow movement. i am happy to see this site because i am new in the seo field and i think if i use your idea then i will see more traffic in my website so very very thank you for this idea.and i recently use your idea and my comment getting approved and getting traffic in my site. Hey guys, this looks fantastic. Will be staying tuned to this site. I had always been confused as to how commentluv worked and what its actual benefits were. You have enlightened me and I am very appreciative! Im going to enable it on my blog immediately! Not until recently that I knew Commentluv is even exist. But once I installed it in one of my blogs, it’s so great. It even be wonderful when combining with good anti-spam plugins. Nice move. It’s win-win situation as you said. Previously people can find “commentluv enabled” phrase in google but commentluv has changed it now. But they still find commentluv blogs. I do love the commentluv enabled for my weblog. However, someone just don’t appreciate the credit given to them by spamming blog that enabled commentluv. Is it hard enough to give a sincere comments? Why would you enable Commentluv and the links be nofollow? That’s no reward to your commenters. Thanks for the great article on coment luv, hope it helps me 2 increase my page views.. Thanks for your comment, 🙂 I am sure it will… ! This post was very helpful and informative. Thanks for sharing this one and I will surely be visiting this place again Bye. Hey Amandeep, don’t you find that commentluv just opens you upto spammers? I know that if I post on my wordpress site with a blog it automatically recieves like a dozen spam comments. This is why I have left it nofollow but the traffic could be good I guess. I just installed the premium version, which reminds me of how the birds and the bees operate! I agree with other folks who described CommentLuv as win-win. I think its high time to enable Commentluv on my blog. Having taken a look around at other sites like mine, its clear that those with the plug in get significantly more action. I’m just sooooo worried about dealing with spam. Askimet plugin its nice, i also combined it with commentluv and so far its been a great save of time for me. I’ve been using CommentLuv for a few months now and I think its great. I know there are some competitors to CommentLuv out there. I think one of them is called LiveFyre. Does anyone have any opinions as to which is better? CommentLuv and LiveFyre both solve different purposes. 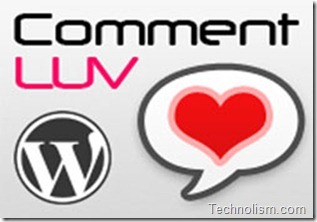 Well Keyword Luv, CommentLuv and Disqus are the best blog commenting plugins in my opinion. We all love comments that are do-follow. Thanks! CommentLuv is great! I just implemented it to my site as well! I love CommentLuv. 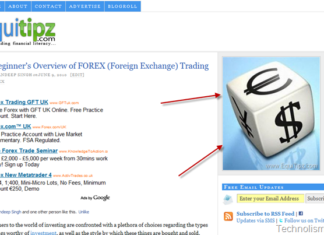 It is a great way to increase your traffic and get to know the blogs of your readers. It has the potential to increase web traffic many times over. actually comment luv is really very effective in building backlinks for promotion of websites. Well, to be honest, I’ve never knew how to us commentluv, how does it work for promotion of websites? thank you for having comment luv on your site it would help some websites to have their backlinks. Thanks for writing the detail benefits of having Comment Luv installed in our website. It seems to me , the advantagess are much more than the disadvantages. thanks! Hello, i feel that i saw you visited my website thus i came to return the favor?.I’m trying to find things to improve my site!I suppose its good enough to use a few of your concepts!! Thank God you have installed CommentLuv. It will give all of us technology lovers a chance to share our blogs with the help of backlinks. I landed upon your site searching for Commentluv related information. I am going to enable it on my site as well. Thanks for the details provided.